Harvey Weinstein’s recent sexual harassment scandal has made it abundantly clear just how big of a problem the movie industry has exploiting young actors trying to make it in Hollywood. Luckily, studio executives are stepping up to do something truly amazing: The Academy of Motion Picture Arts and Sciences has dug a well in Hollywood where young actresses can whisper the name of their harasser without fear of having their careers ended. Wow. What an incredible way for Hollywood to stand with victims of sexual harassment! 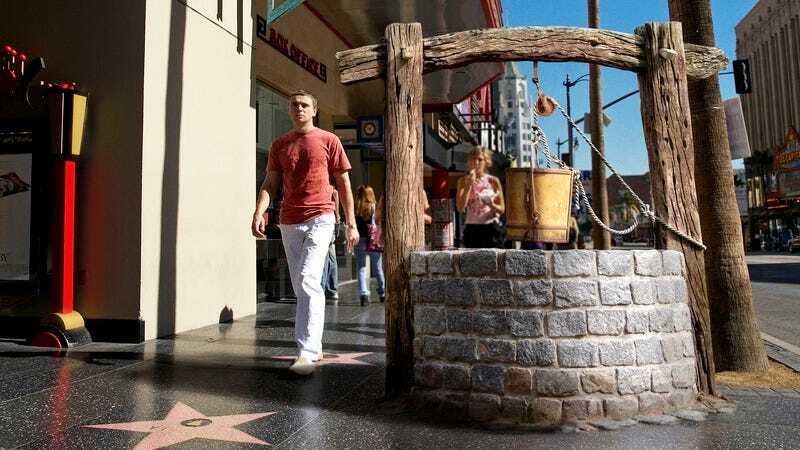 Upon hearing the news of Weinstein’s misconduct, executives from various film studios installed a right on Hollywood Boulevard that young acting talent can quietly whisper the name of their harasser into, take a sigh of relief knowing that they got that off their chests, then walk away feeling content. To show just how serious they are in making the entertainment industry a safe space for young women and men, executives from the Academy have set up a 100-yard perimeter around the well, only allowing one up-and-comer to freely whisper the name of their predator into the well at a time to ensure that no one overhears and blackballs them from Hollywood circles. “No longer will women have to keep the names of their harassers to themselves. Now they have a well right here in beautiful Los Angeles,” added Bailey. Building a well for budding acting talent to whisper the names of their harassers into is definitely an amazing way for the Academy to speak out against sexual harassment. It’s nice to know that for every awful executive in Hollywood like Harvey Weinstein, there are also studio executives with huge hearts. Academy of Motion Picture Arts and Sciences, we salute you!